Tron news has been trending all over the cryptocurrency space since the the the release of the Tron dApps Q1 data. 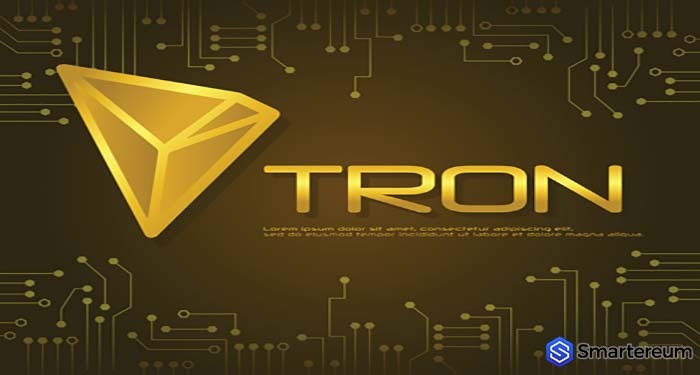 According to the TRX news on CoinDesk, the Tron dApps report revealed that the total volume recorded on the Tron blockchain was about $1.6 billion. Most of this volume was from gambling dApps on the Tron network. Per the post, this data was released by dApp Review to CoinDesk and it shows that the Tron blockchain is a step closer to overthrowing EOS and Ethereum. This, of course, has been Justin Sun’s greatest dream. About two weeks ago, the Tron weekly dApp report was on the headlines as it showed a significant spike in volume. Releasing the report, the Tron Foundation and Justin Sun stated that Tron is better than EOS. Now, the latest analytics from dApp review shows that the Tron network had more than 432,000 active users generating $1.6 billion worth of volume. One interesting point is that majority of the volume was from gambling related apps. According to the report, the activity on the Tron dApps in March was higher than what was recorded in January and February. On the 15th of March alone, there were about $102 million in transactions. On that same day, EOS had just about $16 million in volume and Ethereum had about $4 million from dApps. This is impressive. If it continues, Justin Sun’s dream may come to pass eventually. He, more than anyone else within the Tron Foundation, has devoted a lot of time and effort in the development of Tron. In one of the Tron dApps weekly report released by the Tron Foundation, Justin Sun stated that the Tron network is attracting more developers because it is cheaper to use than Ethereum or EOS. He also talked about the fact that their entry requirements were less rigid. These two factors have contributed to the success of the Tron dApps network. However, it is important to note that the Tron Foundation has also launched many campaigns to promote the blockchain. The Tron blockchain offered $10,000 in Tether to developers who created dApps on Tron during the Tron hackathon last December. When asked about the issue, a spokesperson from Tron confirmed that the funds were given to developers. However, it was from the personal account of Justin Sun and not from the foundation’s purse. So far, whatever Sun is doing to attract developers is working. We are only left with the question of sustainability. How long would it last? If Tron is to stand a chance at overthrowing EOS and Ethereum, these figures need to keep rising. The market capitalization and price of Tron will also need to pick up. Since the Ethereum (ETH) token is currently the second largest in the market, the chances of the Tron (TRX) token taking over now are slim. However, this doesn’t mean the Tron blockchain can’t overtake Ethereum and EOS. Only time will tell. What do you think about the Tron dApps news today? Do you think the Tron dApps will overthrow EOS and Ethereum? Share your thoughts in the comment section below.